Brand new screenshots and trailer for XCOM 2 today. If you can read French, we have a preview article online, just check the other side. The strategy title from 2K and Firaxis will be out on February 5th for PC. Also inside, details about the digital deluxe edition. 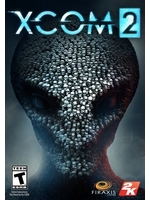 NEW YORK--(BUSINESS WIRE)--Dec. 10, 2015-- 2K and Firaxis Games today announced that the XCOM® 2 Digital Deluxe Edition is now available for pre-purchase for $74.99. Launching globally on February 5, 2016 for Windows PC and coming to Mac and Linux via Feral Interactive, the XCOM 2 Digital Deluxe Edition includes the sequel to the Game of the Year* award-winning strategy title XCOM: Enemy Unknown, the XCOM 2 Reinforcement Pack** and the digital soundtrack. 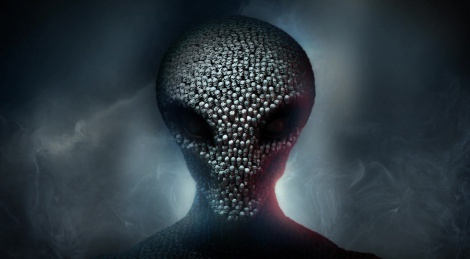 XCOM 2 takes place 20 years into the future, where humanity has surrendered to the alien threat and XCOM is largely forgotten, forcing them to reclaim Earth and free mankind from the aliens' rule. The Reinforcement Pack** can be purchased separately for $19.99 and bundles three downloadable add-on packs. Each add-on pack will offer a unique twist to the core game experience by adding new missions, aliens, weapons, more extreme soldier customizations and other items. • Shen's Last Gift: offering a brand new soldier class with unique upgradeable weapons, armor and customization features, as well as an additional narrative-driven mission and map (releasing summer 2016). Players who pre-order or pre-purchase XCOM 2 or the XCOM 2 Digital Deluxe Edition will also receive the Resistance Warrior Pack, offering additional soldier customization options such as bonus outfits, headgear, and custom facial war paint. The Resistance Warrior Pack also includes a "Survivor of the Old War," a new XCOM recruit who will appear in the Avenger's barracks. XCOM 2 is the sequel to the Game of the Year* award-winning strategy title XCOM: Enemy Unknown. Developed by the strategy experts at Firaxis Games, XCOM 2 transports players 20 years into the future, where humanity lost the war against the alien threat that has established a new world order. The secret paramilitary organization known as XCOM is largely forgotten, and must strike back to reclaim Earth and free mankind from the aliens' rule. Forced to operate on the run in their new mobile headquarters, players must use a combination of firepower and covert tactics to help XCOM recruit soldiers and build a resistance network, all while attempting to expose the evil alien agenda and save humanity. **Steam account and Internet connection required. Copy of XCOM 2 also required for play. I'd like to see more stratigic overhead screen shots, too. Considering those are what you look at the most. "Strategic what now? Bah! We want the TPS audience, not the egghead audience. You're fired, Smithy." "Strategic what now? Bah! We want the TPS audience, not RTS. You're fired, Smithy." I know, I was going for impression of ignorant and arrogant executive, decided to edit the post a bit.